As I mentioned in a previous post, the end of 2009, brought many interesting new CDs my way. Some were late 2009 releases; some were previews, with 2010 street dates. Starting with this post, I will periodically share my thoughts with you on some of them. Each relatively brief review will be divided into four sections: “The Big Picture”, “What’s Good About This CD?” “What Could Be Better? And “Who Will Dig This Disc”. I will also include links to each artist’s website and to at least one source for immediate purchase or legal download. All views expressed here are solely mine and I have received no remuneration from any source, other than, in some cases, a free copy of the CD, for reviewing purposes. Each disc has been heard, beginning to end, a minimum of two times. I will try to be objective, and give you my honest opinion. However, if you’re looking for humorous put-downs of an artist when something is not my cup of tea, forget it. I endeavor here to be opinionated, but not intentionally cruel. Phil Brown has been a professor at SIU Carbondale for almost 20 years. During that time, he has also been a first-call freelance bassist throughout the southern Illinois region, performing with such luminaries as Dizzy Gillespie, Herb Ellis and Clark Terry. Bright Side is Mr. Brown’s second recording that features the New Arts Jazztet; a sextet consisting of current and former jazz professors at Carbondale. This is a straight-ahead jazz album, with all compositions by Brown and other members of the group. As you would expect from such a group, Bright Side is very well played. These cats are all pros, and it shows. Most of the 10 original compositions are also very good, which isn’t always the case with groups like this. These guys are strong writers on top of being good musicians. The disc flows seamlessly from the first selection to the last. Bob Allison on trumpet/flugelhorn and multi-reedman Tyler Kuebler are a formidable front-line, switching between various horns and creating some intriguing sound combos in the process (I mean, how often do you get to hear a flugelhorn and soprano sax lead?). Everyone in the group gets solo space and they use it well. My favorite tracks were the Latin tinged “Vaivén”, which floats along on Kuebler’s flute; the mid-tempo finger snapper “Swank”, underpinned by some cool interplay between pianist Mel Goot and Brown’s bass; and the fiery hard bop of “Sunk in Dars”. Though there are many fine originals here, I would have perhaps liked to have heard these cats cut loose on a couple of classics from the jazz canon; but this is a minor quibble. Those who like well-played, jazz; straight, no chaser, will enjoy this disc. There are no bold type names or standard tunes, but you’ll get the pleasure of discovering these guys before everyone else does. 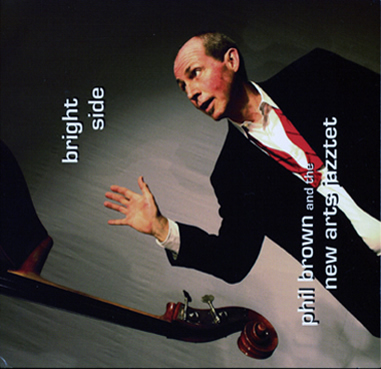 The Midwest may soon have to learn to share Phil Brown and the New Arts Quintet with the rest of us, on either coast and beyond. Church Boy – Enoch Smith, Jr.
Church Boy is Enoch Smith, Jr.’s debut album. Born in Rochester, NY and trained at Berklee, Smith is one of a surprisingly large number of jazz musicians with musical roots in gospel music. (Carl Allen, Eric Reed, Cyrus Chestnut, to name a few). And those roots are all over this album, from its title, to the song selection, to the foot-stomping rhythms. But make no mistake about it, Church Boy is a straight-ahead jazz album, in the mode of Allen’s Testimonial. Mr. Smith is a very capable pianist and a strong writer. He wrote or co-wrote eight of the disc’s 11 titles. The best of these are “Mount Olive Hop”, the thumping disc opener, which features some fine Horace Silver influenced piano from Smith and some call and response between Smith and the horns. The driving “Sunday Morning Rush”, is a nice slice of early ‘70’s style jazz in the Freddie Hubbard – CTI tradition. “Prelude to Joy” is perhaps the best performance on the disc and definitely the strongest of the original compositions. Beautiful and reverentially moving, it is as close to a “jazz hymn” as I’ve ever heard. Kudos to Smith, trumpeter Donald Malloy and alto saxophonist Josh Irving for their fine solos on this track. Though the horn players all solo well, their ensemble passages could be a little bit tighter. Overall, “Church Boy” is an impressive first outing. Enoch Smith, Jr. is a rapidly growing talent, with a wellspring of musical ideas. Understand that this is not “smooth” jazz; so if you’re a fan of say, Ben Tankard, this CD might not be for you. But, if you like mainstream jazz, with a gospel-soul feel, a la Messrs. Allen and Chestnut, you will like “Church Boy”. Congratulations to Enoch Smith, Jr., for sticking another pin in the balloon of those who label jazz as music for “sinners” only. 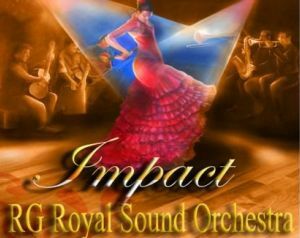 The RG Royal Sound Orchestra is a Latin infused big band, mostly composed of musicians from Florida and Spain. The intent is to take songs familiar to the contemporary listener as pop hits (“Hotel California”; “That’s the Way (I Like It)”; “My Way”, etc.) and give them a Latin Big Band makeover. What differentiates this group from most Afro-Cuban based big bands, is a true Spanish rhythmic foundation; including Flamenco guitars and staccato hand claps. There are some heavy hitters from Afro-Cuban and Salsa circles involved here. The great Cuban pianist Hilario Duran played piano on most tracks and arranged three of them. Ed Calle, a top-flight Miami based saxophonist, known for his work with Arturo Sandoval and Gloria Estefan, is around to lay down some nice solos. The sound of the band is tight and well-rehearsed. There are some fine songs here; some decent jazz arrangements and the Flamenco guitarist are very good, but in most instances, they all don’t mesh well. Instead of recasting some interesting source material into something original, these songs too often sound as if the hand claps and guitars were just soldered onto MOR big band charts. The result is something that, more often than not, sounds a bit cheesy. I know the work of a lot of the people involved. I know they have done some impressive things. I’m sorry to say that this, however well-intentioned, is not their finest hour. Calle’s fans will enjoy his solos, as he does play well, regardless. Duran’s arrangements are the best of the bunch, especially “Hotel California” and “Volare”. And if you like Flamenco guitar, the Spanish guitarists are solid throughout. You would probably be best served by listening to samples and then purchasing individual downloads of the tracks that you like. That’s all for the first set of Curt’s Jazz Café’s Reviews You Can Use. Selections from these discs and many more can be heard on Curt’s Café WebJazz Radio; 24 hours a day, 7 days a week, on Live365. Click here to listen now. In our next scheduled post, we will touch on the music of another in the long list of underappreciated jazz artists, the late tenor saxophonist Curtis Amy. We will also be back with a few more CD giveaways soon, so be on the lookout for them. Thank you for taking a few minutes out of your day, to spend in my café. This entry was posted on January 6, 2010 at 2:16 pm and is filed under CD Reviews. You can follow any responses to this entry through the RSS 2.0 feed. You can leave a response, or trackback from your own site. Your reviewing approach is impeccable and the writing top-notch! Thanks for being and doing all that you be/do. Elli, you’re going make my head bigger than it already is (lol). Thank you for everything you do as well! Always enjoy reading your well written blog posts. Happy new year to you. Thanks for your kind words Linda, Happy New Year to you as well. If I had a dollar for every time I came to curtjazz.wordpress.com.. Amazing read!